We are cleared for takeoff and headed back to Hana. In addition to the five-hour flight followed by additional hours of food shopping, we then face the two-hour drive on the Hana Highway for our final lap home. This can be the most challenging part of our long, tiring day. 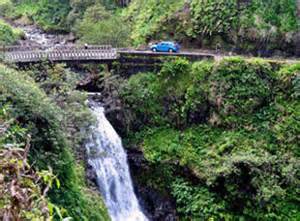 The Hana Highway has been designated one of the most beautiful in the United States (unless you’re throwing up, then it’s not) and was dubbed the Hana Millenium Legacy Trail during the Clinton administration. 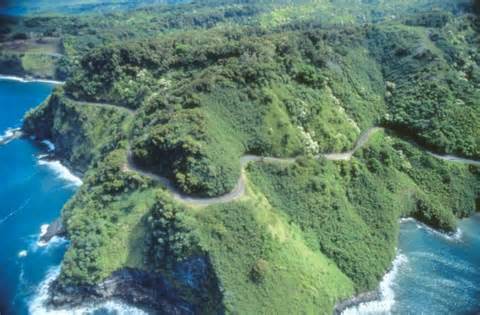 One would think we would be thrilled to exchange our two-hour drive on the #405 freeway (covering only ten miles) in Los Angeles as opposed to spending the same amount of time driving the curvy 34 miles to Hana. Originally the highway was a treacherous, winding, rocky dirt road on which the sugar plantation workers commuted to and from the small town and its sugar cane fields. It has evolved through the years to feature 620 curves (someone actually counted them?) and 59 bridges of which 46 are one-lane. 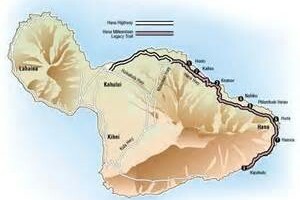 But this is not the problem for local residents using the highway after a day of tackling the aisles at CostCo and WalMart on the Isle of Maui. Here’s the real problem that I’ve identified after years of research on my part. 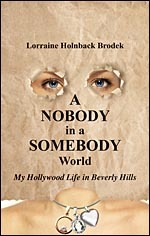 Much of America is suffering from a couple of genetic disorders. One is PPO(X) deficiency caused by the lack of the “Pronto Pull-Over” gene with chromosome X and the other is FT(Y) or “Fail to Yield” syndrome. Definitely, causal types of mutations and DNA stuff are involved here. 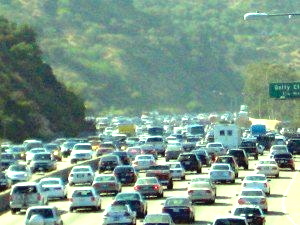 It seems impossible for slower drivers to pull over at the next convenient turn-out and let the speedier locals pass. This syndrome is particularly apparent in those tourists seen gripping the steering wheel for dear life in a Chrysler 300. 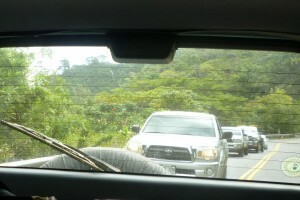 If you’ve rented a Chrysler 300, you shouldn’t be on the Hana Highway. If you’ve rented a Prius, a Mini-Cooper or a Jeep Wrangler…okay. There’s another part of my independent survey that also spells trouble. That’s when I end up behind a red Jeep with the top pulled back and a young dude at the wheel with a blonde whose pony tail is blowing out the hole in her ball cap. His dude-ism will not allow him to pull to the side for any reason…particularly if a woman driver (God forbid) is trying to pass him. 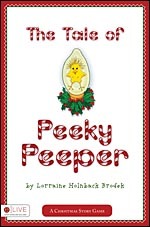 It is a sign of weakness and cuts a big notch in his crotch. Here are some quick tips if you’ve left the never-ending, straight, corn-row roads of Kansas or Oklahoma and find yourself negotiating the 95th hairpin curve on the Hana Highway hugging the side of the cliff. 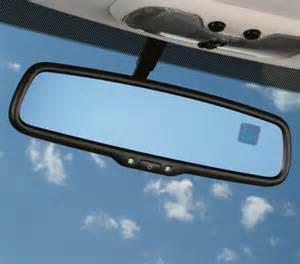 To help, I’ve included a picture of a rear-view mirror…it’s up there on your windshield to look into from time to time to see who’s following you. If there are cars snaking behind you the length of a roller coaster, you’re going too SLOW. Ya think? Please pull over. If the lead car then flashes its lights, PULEEZE(!) pull over. And if that same car’s driver starts honking like a crazy person…for God’s Sakes PULL OVER!…like on the first honk…not the 15th. Why would you want somebody like that behind you anyway? 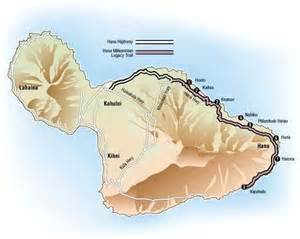 You’re about to give him a stroke and he might knock you all the way from Old Kaenae to Kailua-Kona. 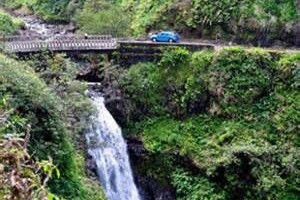 Courteously, let him pass in the spirit of Aloha and continue to enjoy the magnificent waterfalls in the beautiful rain forest without a mule train of cars behind you. This is the very reason that we stuck a “MOVE OVER” sign at the top of our windshield. 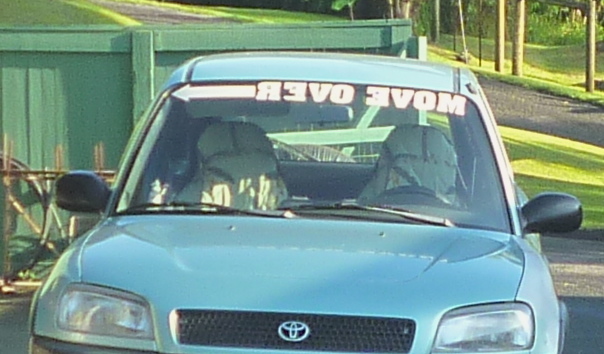 The trouble is we’ve had people ask us how someone can read it because it’s spelled backwards…”REVO EVOM”. There is no hope. 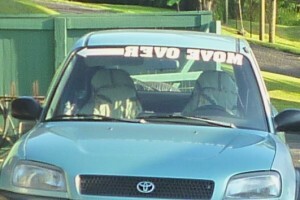 They’ve never used a rear view mirror before. 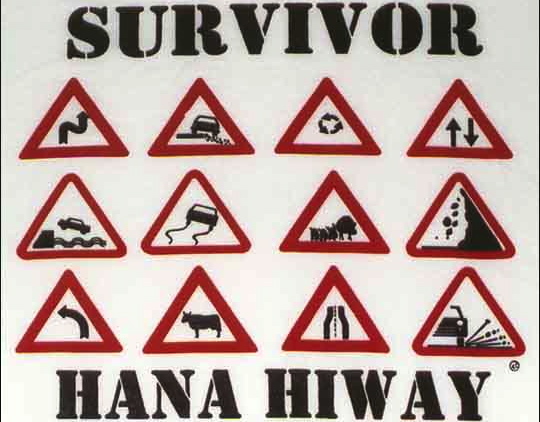 Since I’m the designated driver heading home, it’ll be survival of the fittest on the road back to Hana…slow-mo style.